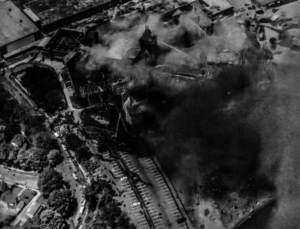 Aerial view of NRHS in flames – 1968. 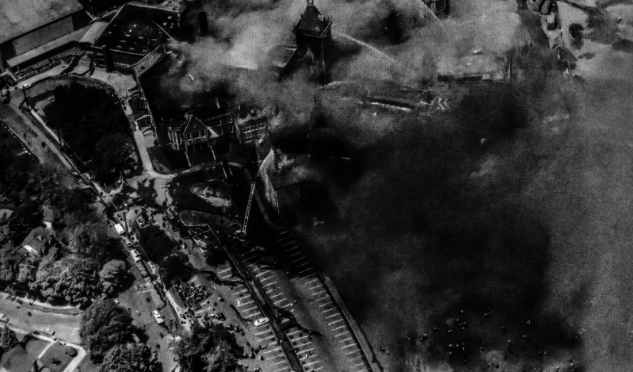 For those who lived through it, the fire that engulfed New Rochelle High School in 1968 will always remain a powerful memory. A member of the class of ’68, Rick Donahue, created a website to commemorate the 50th anniversary of this important and frightening event. Filled with interesting images and historical facts, the site is definitely worth a look.